Saturate a make-up pad, a cotton ball or a warm, moist, dark colored washcloth with the LIP INK® OFF solution . Press to the brow area for a few seconds then gently wipe (never scrub) to remove the finish. Splash with water and pat, dry. DIRECTIONS: Apply as needed. If you experience any adverse reactions from use of this product, discontinue use and keep out of heat. NOTE: The LIP INK® waxfree, long-lasting, multi-patented color product line is not compatible with any other cosmetic products. LIP INK® Color Cosmetics are based on scientific research and are protected by U.S. and International patents. Competitive products cannot legally duplicate LIP INK® Color Cosmetics and their precise chemistry. New customers should start with a kit when purchasing any of our guaranteed smearproof color. SAFE PRODUCT USE: If you experience any adverse reactions from use of this product, immediately discontinue use. Keep out of heat. The codes that appear randomly on vials provide Internal QC information only. Hand-crafted, made in U.S.A.
5747017, 6001374, 6010709, 6027739, 6203809, 6395263, 6509009, AU 701794, AU 736718. 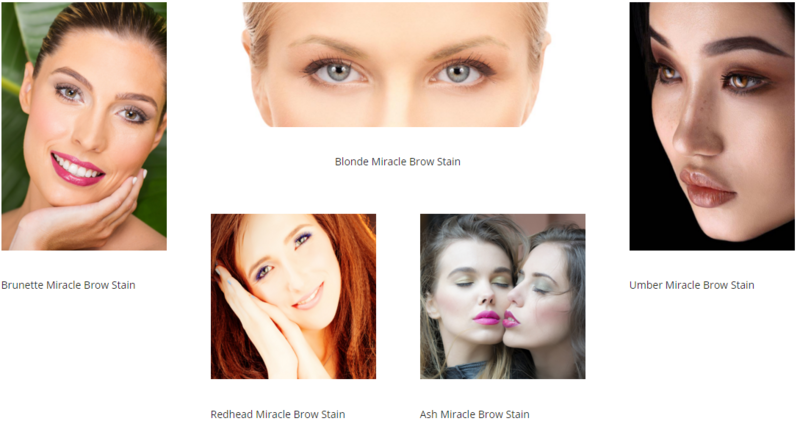 Choose from 5 shades of waterproof brow stains that give a fuller, natural, healthier look. Lip Ink's handcrafted lip stain colors and 3 process smear proof technology is revolutionary. 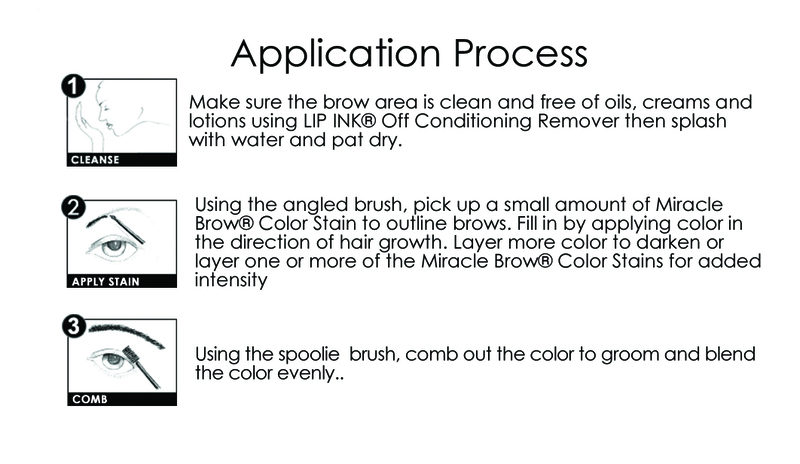 Our 3 product ECO system, consists of Water, Oil and Botanical blended liquid brow liner smear proof color. dimethicone. dimethicone trimethylsiloxysilicate. cyclomethicone. octyl methoxycinnamate. phenoxyethanol. panthenol. octyl salicylate. tocopherol linoleate. tocopherol. ascorbyl palmitate. ascorbic acid. citric acid. Beta-Carotene. Allantoin. Alumina. Arrowroot. Iron Oxides.....integrity. Empowerment. Love. Freedom. Copyright © 2014 Lip Ink Intl.. All Rights Reserved. All Rights Reserved.